It's been a great year for students, alumni and staff across the Cass MBA programmes. We look back at the highlights of 2017 with Associate Dean, Dr Sionade Robinson. There were no January blues for the Cass Full Time MBA. The year kicked off with the Financial Times ranking our FTMBA as the top 1-year MBA in London. We were ranked 37th globally, 13th in Europe and 5th in the UK. Dr Sionade Robinson, Associate Dean of MBA Programmes said, "We increased our UK position again this year which is a great success for the programme. Our MBA students choose us because we deliver powerful educational and development programmes to help them accelerate and explore exciting future careers. It’s great to see the success and progress of our alumni reflected in the Financial Times’ ranking. City, University of London appointed Dr Kevin Dunseath as its Regional Director for the Middle East and North Africa (MENA) and also as Director of its Dubai Centre. The Dubai Centre offers our internationally-acclaimed Cass Executive MBA (EMBA), as well as, tailor-made executive education and business services. We announced Lady Barbara Judge CBE, national Chairman at the Institute of Directors global businesswoman and Cass Honorary Visiting Professor of Leadership, as the head of Council for our Global Women’s Leadership Programme – a pioneering initiative designed to nurture rising women leaders. The Global Women’s Leadership Programme includes support for four women MBA scholars with exceptional potential to lead global women’s leadership development efforts. These scholarships are funded by The Coca-Cola Foundation. Students travelled to complete their International Consulting Week in Hanoi, Vietnam. They were then joined by alumni for the inaugural Cass MBA Extended Leadership Expedition. It was an opportunity for our community to climb Mount Fansipan, the highest peak in IndoChina, to help them develop an explorer's mindset. "Our expedition was led by Cass Honorary Visiting Professor of Experiential Learning, Dr Rodrigo Jordan, and Gabriel Becker, a fellow Everest mountaineer," said Dr Robinson. She added, "We encourage our students to learn how to lead, including themselves. Climbing Mount Fanispan pushed our students out of their comfort zones, while the MBA programme ensured they learned from the experience." Dr Robinson also took part in the extended Expedition in April and reflected on her own leadership lessons in a LinkedIn post. In the same month the FTMBA completed their International Consulting Week in Iceland before successfully summiting Snæfellsjökull, the volcano which inspired Jules Verne’s Journey to the Centre of the Earth. 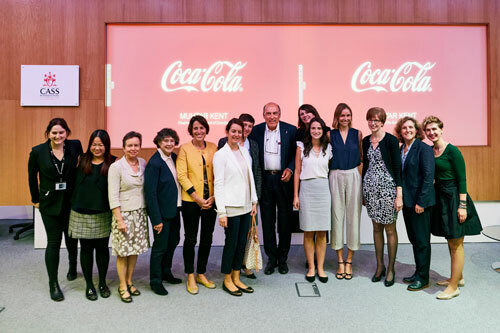 It was time for the Cass MBA London Symposium in May, a flagship MBA elective. The theme for our third annual event was ‘London is Open’, echoing the Mayor of London’s campaign. This year was our largest ever symposium, and our MBA’s and alumni were joined by guests from LUISS Business School (Rome), Mannheim Business School in Germany and GIBS Business School from the University of Pretoria in South Africa. Dr Robinson said, "The inaugural Symposium was first held in 2014 to celebrate Cass’s unique network inside the heart of the global city. 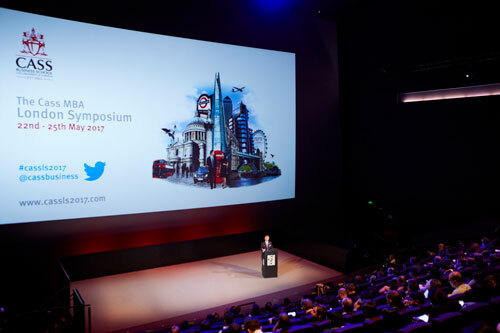 It mixes thought leadership in plenary sessions with a ‘backstage pass’ to some of London’s most iconic locations, brands and organisations which drive the city’s prosperity. It also provides our MBA students with excellent networking opportunities, where they can access some of London’s most prominent and respected business figures." During these months many of our MBA students travel widely on electives in China, Silicon Valley, South Africa and Las Vegas, Israel, Palestine and Cuba, exploring themes of leadership, innovation, technology, entrepreneurship and digital transformation. Our EMBAs also travel to Santiago in Chile to complete their international Consulting Week Programme. We also celebrated the Financial Times ranking the Cass MBA as 7th globally, 1st in London and 2nd in Europe for Entrepreneurship. 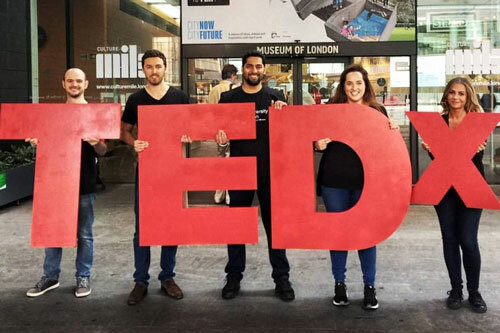 Cass offers an outstanding entrepreneurship ecosystem, where our students benefit from access to world-leading faculty experts and an enviable location close to the heart of Tech City and London’s thriving startup scene. The well-known saying, "If you want something done, ask a busy person" was amply demonstrated by our FTMBA, who worked to produce an extraordinary TEDx entitled Accelerate in the same month their capstone Business Mastery Projects were due. Working with colleagues across City and the incoming class, the FTMBA student team delivered an amazing event focusing on trends in technological disruption from FinTech and robotics, to artificial intelligence and virtual reality, with the opportunity to experience AI avatars and VR first-hand. "As well as the TEDx, we also celebrated the inauguration of the Cass MBA Expeditionary Society for MBA students, alumni and Cass staff, by welcoming renowned mountaineer and Everest legend, Sir Chris Bonington to deliver an exclusive masterclass in leadership." Our aim is to encourage and build an Explorer’s mind set for our MBAs. Sir Chris was joined by fellow mountaineer and Honorary Visiting Professor, Dr Rodrigo Jordán for the event. Sir Chris was also named as the Patron of the new society in its inaugural year. We were honoured to host esteemed alumnus Muhtar Kent and his wife, Defne for The Defne and Muhtar Kent Educational Foundation, Inc. Prize in Entrepreneurship in October. The award went to alumnus Tristram Hilborn for the best Final Business Mastery Project focusing on Entrepreneurship. Later that afternoon, Cass MBAs and alumni were invited to a special masterclass given by Muhtar at Bunhill Row. Barry’s dissertation was selected by the judging panel to win a certificate of merit and £300. He’s also eligible to qualify for the annual WCIB Lombard Prize competition (won by our alumnus Pearce Watson in 2015). Then, we celebrated alongside alumna Lindsey Macdonald, when she won a Women of the Future Award. 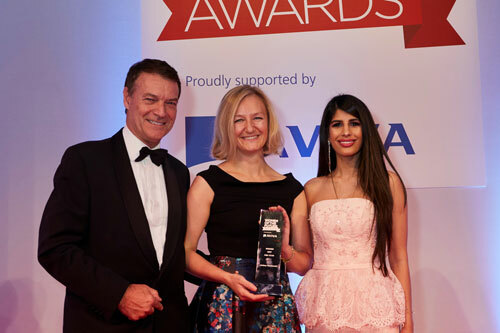 Lindsey, who is Managing Director of the charity Street League, was awarded the prize for MBA Star. We also want to congratulate Hazel Beveridge, a modular executive MBA student, shortlisted for the GI Actuary of the Year in the Actuarial Post Awards. December is a very busy month for the MBA Programme – key elements of the core curriculum are completed, plans made for 2018 and many festive celebrations to fit in too. We were also pleased to see the Financial Times European Business School Rankings 2017, noting Cass is now equal 15th in Europe, up 11 places on last year. Cass is 4th in the UK and 2nd in London (up from 6th and 3rd respectively) – making us the highest riser in the Top 30. We’re extremely proud of the achievements of all our students and alumni this year who continue to push us to develop our curriculum with our outstanding Faculty, but also our innovative approach to experiential learning. "There will be even more excitement and adventure to come including a new social media campaign kicking off on Boxing Day. Please do share it widely in your network as we’re all looking forward immensely to #LeadingTheAdventure in 2018."